Months and months ago, a friend contacted me on Facebook and asked if I could bake a cake for her daughter's first birthday in October. She wanted something sweet, with a vintage-feel to it, preferably in pink with a little duck on it. After a couple of weeks emailing back and forth, I finally came up with the idea to do a cake covered in a mixture of fondant and buttercream. 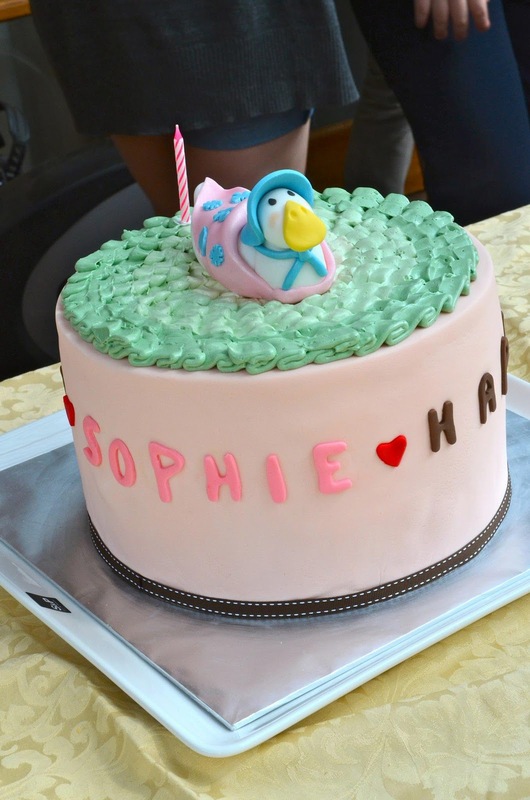 With a little fondant duck on top. Now the duck in question took a bit of deliberation - she didn't want a typical rubber ducky, and we wanted something to fit the theme. 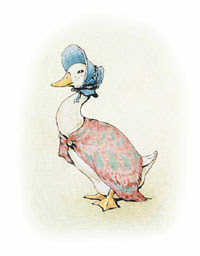 So after foraging through ducky images on the Internet, I chanced upon Jemima Puddleduck, from the Beatrix Potter series. How delightfully perfect!! Next up - to actually make the cake! A Red Velvet affair, with white chocolate ganache, to feed 50 people! I'll post up a mini-tutorial on how I did the duck soon.